Members of a London community Facebook group are furious after the rights to run it were sold on to another party not from the area. Group members then became angry at claims that the new administrators wanted them to pay to promote their local businesses to each other. Facebook does not specifically state that “admins” cannot sell their rights but the role is usually voluntary. Local groups exist for communities to share news and events. The group for Facebook members living in Northfields, west London, had more than 25,000 members. Thousands have left, and many of those remaining are taking on administrator roles themselves in order to reclaim the group. They have renamed it “Northfields People Please Leave This Group” and are telling members to join an alternative page. Kathryn Coles established the Northfields Friends group in 2011 but was no longer running it at the time of the sale. “A lot of people are really angry – on a number of levels,” she said. Other group members have told the BBC that negative posts about the situation are being deleted. “They’re going to end up with a group that nobody belongs to,” said Ms Coles. In an interview with the local news website Ealing Today, former administrator Keith Collins said that he and his fellow administrator – using only his first name, Steve – had taken the decision to sell after declining to do so several times. “After thinking long and hard we both wanted to relinquish admin responsibly as we no longer work or live in the area, and wanted to hand over the group [to someone] who had experience of running groups and was obviously level-headed,” he said. He told the publication there was “a lot of supposition and untrue rumours” about what had happened regarding the takeover. 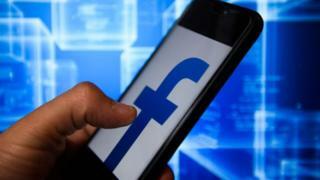 The BBC has contacted Facebook and the new group owners for comment.